The next instalment of Bob Dylan‘s ongoing Bootleg Series hits the shelves on November 3. Trouble No More – The Bootleg Series Vol. 13 / 1979-1981 focusses on Dylan’s so-called ‘Gospel years’. Uncut has covered this period before – in a mammoth, two-part exploration of Dylan’s Eighties. You can read part one by clicking here and part two by clicking here. As a taster for this latest, tantalising dip into Dylan’s archives, we’re delighted to bring you a world exclusive – scroll down to hear a previously unreleased version of “Solid Rock” from Dylan’s 1980 album, Saved. This version was recorded live at London’s Earl’s Court on June 27, 1981. This track is available on the 9 disc (8CD/1DVD) box set that contains 100 previously unreleased live and studio recordings including 14 unreleased songs. 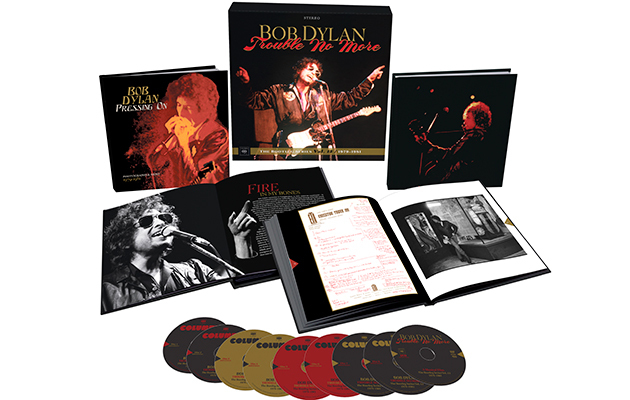 The set also includes Trouble No More: A Musical Film, a new feature-length film incorporating never-before-seen footage from Dylan’s 1980 tours. The set will also be available in 2CD and four-LP configurations featuring the first two discs from the deluxe box.